Santa Clarita Artists Association members, 2018-2019. A GoFundMe crowdfunding campaign has been established to help the nonprofit Santa Clarita Artists Association replace equipment damaged or destroyed in a storage locker fire on Jan. 7. All the panels SCAA used for its art exhibits as well as many other supplies were destroyed. An offshoot group called the Santa Clarita Artists Association Altruists launched the campaign Sunday. As of noon Monday, $760 of the $10,000 goal had been raised. 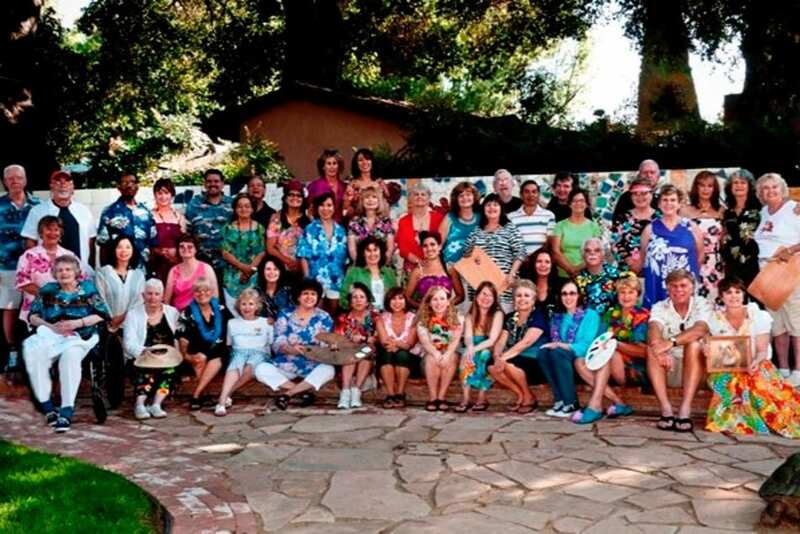 “The Santa Clarita Artists Association (non-profit 501(c)(3)) was founded in 1989 by a group of local artists who desired to share their expertise, knowledge, and enthusiasm for art. The Association members range in talent from professional to novice. “Our mission is to promote art in the Santa Clarita Valley by “Making Visual Art Visible.” Our community outreach programs are educational and free to the general public. We also award Scholarships to a range of art students in Santa Clarita – from high school to college. “On January 7, 2019, The Santa Clarita Artists Association lost thousands of dollars worth of equipment and supplies due to a fire, which began in the storage unit directly behind ours at the storage facility. “Our storage unit housed: exhibit panels (32 panels valued at $8,000 – damaged by water and soot), lighting for panels (melted metal), metal grid panels for displaying artwork (melted), 8 foot plastic folding tables (melted), 55 cup coffee maker (melted), supplies used for assembling the panels (melted), several donated artworks from members stored for future fundraising, assorted furniture, a refrigerator and many other items too many to list, lost to water damage. “Our association is hoping to raise a minimum of $10,000 to replace essential items. In the event we raise more money, we could expand the programs we offer to our members and the public we serve. Our scholarship program monies could be increased or allow us to award more than three winners. “Whether you’re able to donate a little or a lot, our association will use the money to promote the visual arts to our community with pop up galleries at various locations around town as we have done since our inception. “This is our 30th Anniversary; let’s turn the tragedy to a blessing for our community. Thank you for the article. We hope to reach a wide audience of art lovers and supporters. Please note the goal quoted in the article is incorrect. We need to raise $10,000, not $120,000!